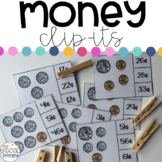 26 individual task cards for counting mixed coins up to $1.00. 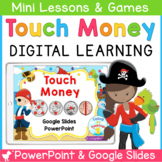 Coins have touch points for students who need extra support. 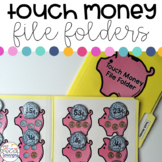 Ways to use: Small group Partners Task Boxes Answer Key and Recording sheet included. 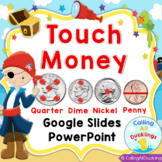 Touch Money Powerpoint and Smartboard is a great way to teach your students how to count penny, nickel, dimes, and quarters! 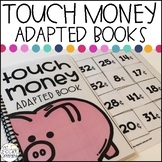 It is easy for students to learn and practice using touch money. 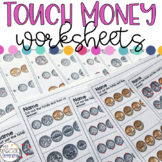 Here is some information about touch money: Each coin will have a visual method for helping students count. 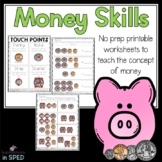 This center activity uses the concept of touch points on each coin made popular by the Touch Money program. 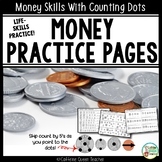 Students will count the coins on the peeps and match the total to the card. 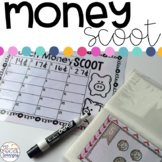 Once all of the matches are made, students will record their answers on their record sheet.